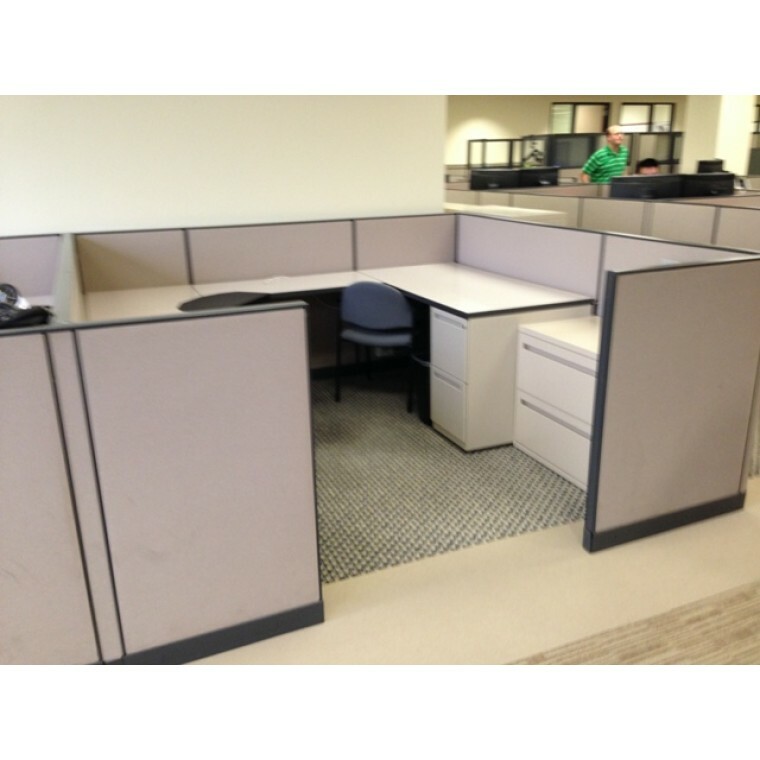 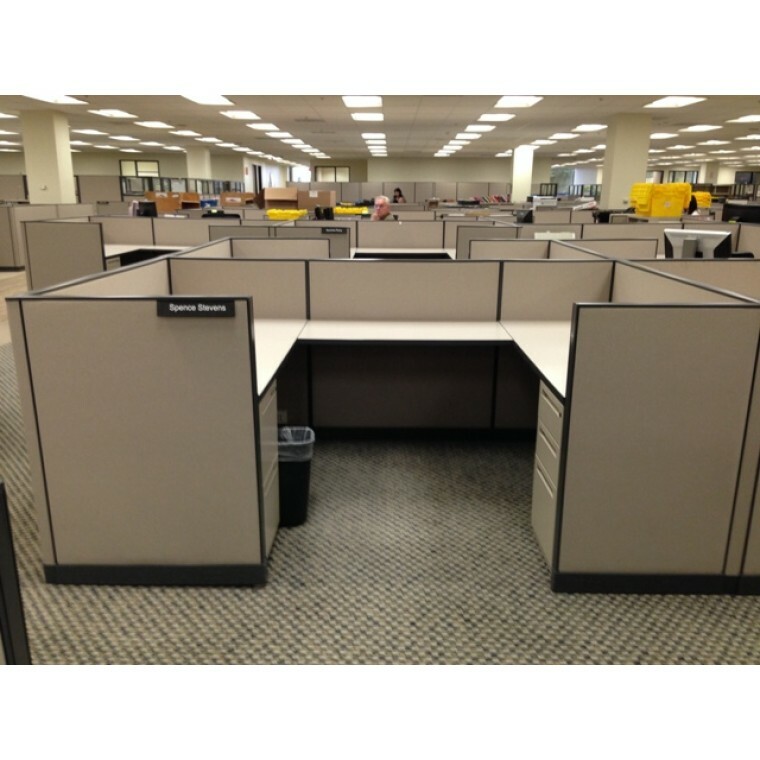 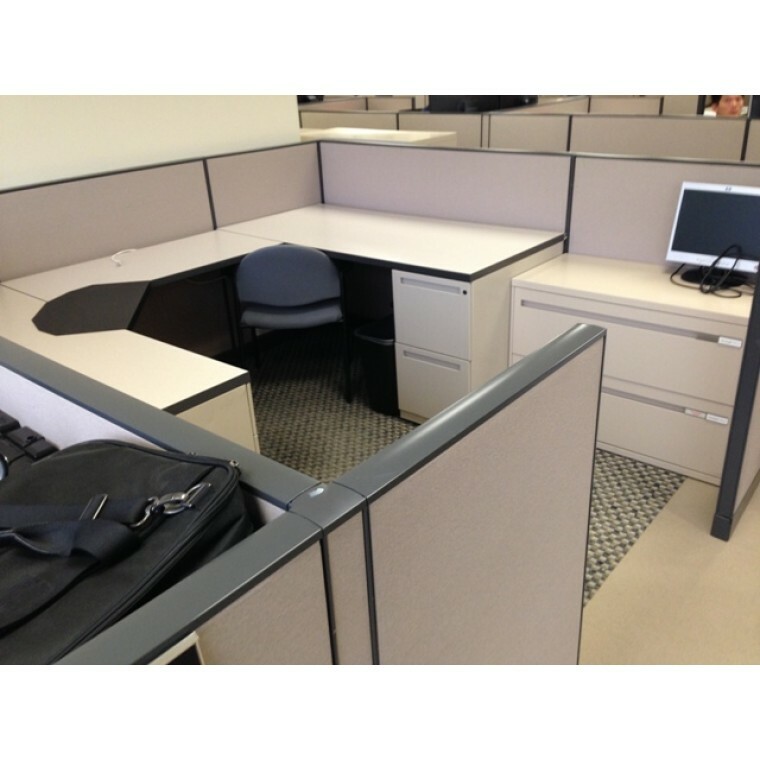 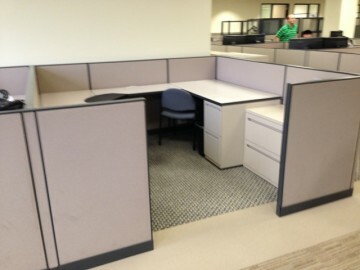 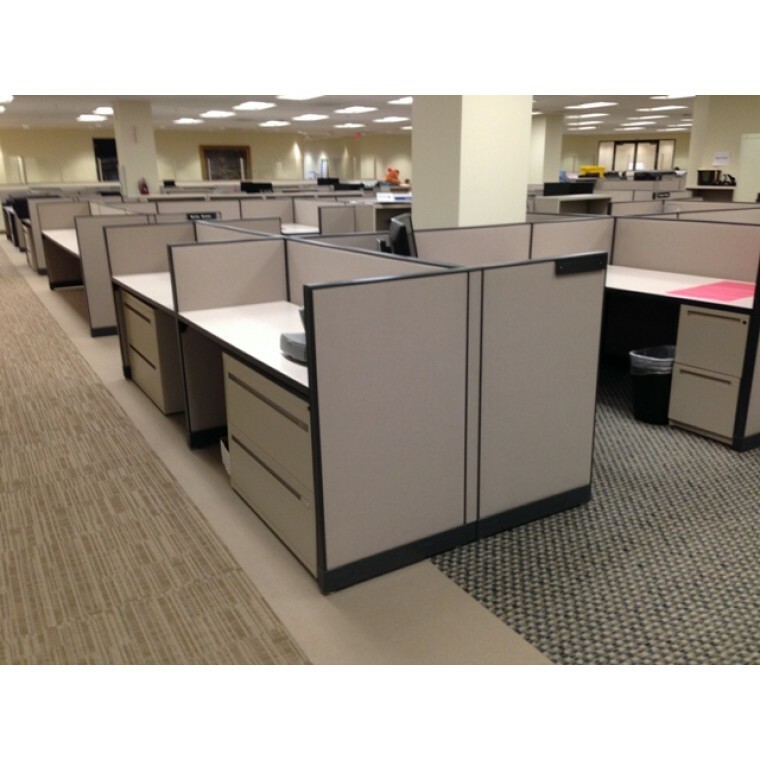 Kimball (6' x 5') cubicles 42"H - These stations have a clean earth-tone look and are the right height (42"H) to keep an open floor plan. 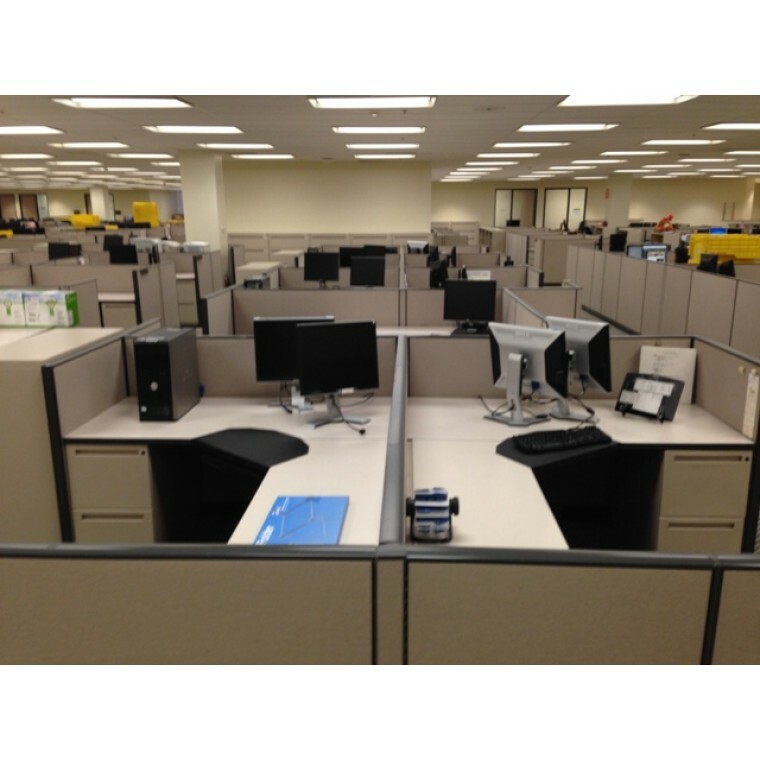 This massive inventory can cover even the largest of projects and keep matching stations through-out. 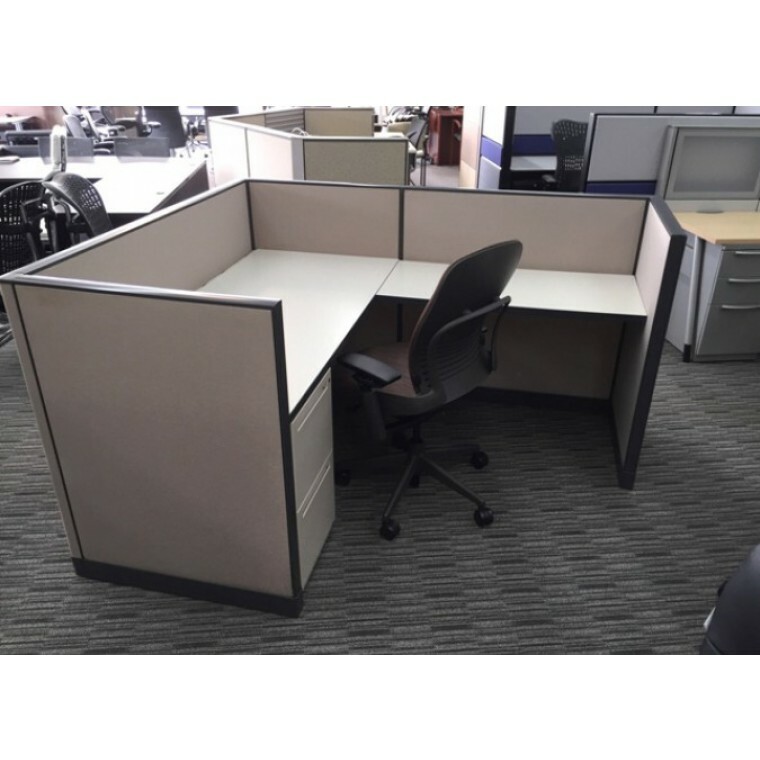 These also have a built-in capability to become smaller stations in the following sizes: (5.5' x 5') and (6 x 5) in order to get a higher head count. 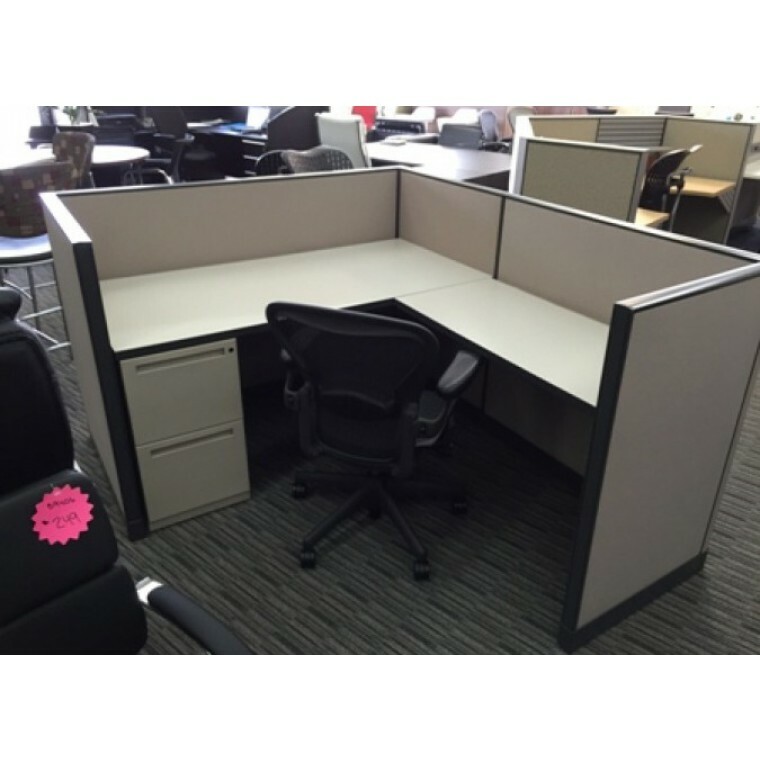 These are at a very budget friendly price as well !